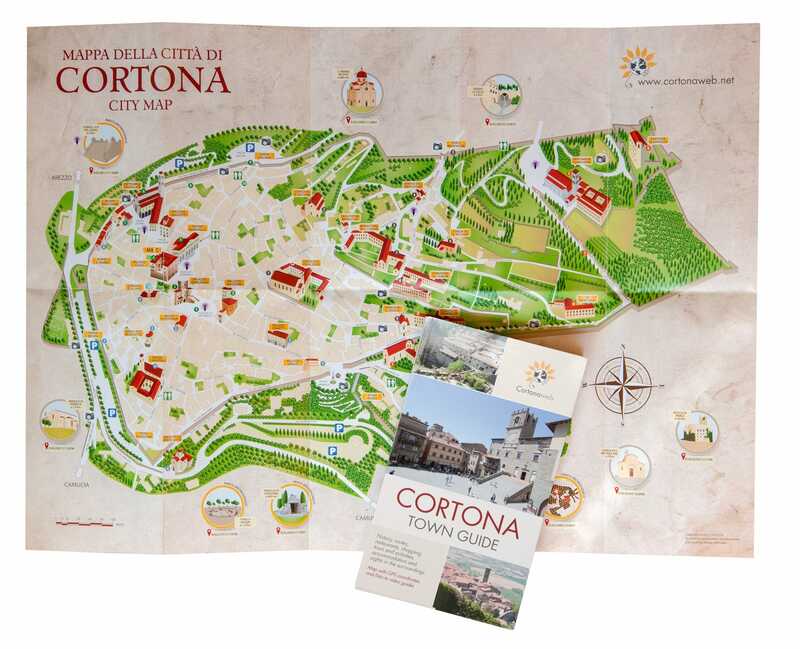 Located on the border between Tuscany and Umbria, lying on a hill at about 600 meters above sea level, Cortona is easy to reach both by train (Terontola and Camucia train stations are only few kilometers away) and by car. 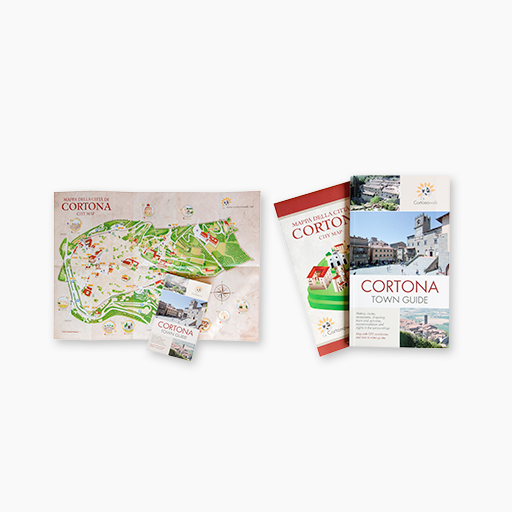 Apart from its artistic beauty, Cortona is a very important tourist destination because of its privileged geographical location. For this reason, if you stay in Cortona you can easily visit many places nearby, which are very interesting from the cultural and artistic points of view, like Florence, Siena, Perugia, Pienza, Montepulciano, Montalcino, Lake Trasimeno, Arezzo, Assisi, Gubbio, Orvieto, Spoleto and many others. If you are travelling by car, both from the North and from the South, take the Valdichiana exit from the A1 highway, which is called Autostrada del Sole. Right after the toll gate exit take the E45 freeway (slip road from Siena to Perugia) in the direction to Perugia and then take the second exit for Cortona (Cortona San Lorenzo). You will just need to follow the street signs to arrive at the SS71 road in Camucia and to continue towards Cortona. Once arrived at these train stations, you can easily go to Cortona by taxi or by bus. If you arrive by train at Camucia, Terontola, Arezzo or Castiglion Fiorentino train stations, you can go to Cortona taking advantage of the Tiemme bus service.